You worked hard on writing the perfect blog post. 3 people read it. Three. And one of them isn’t even your mom. Maybe you’ve been diligently putting in hours and hours on this big project at work and your boss doesn’t even notice. Perhaps you’ve been looking for work and can’t seem to find it. Or your marriage is struggling. Discouraged? It’s Christmastime, and while the whole world is feeling jolly with Old Saint Nick, you’re feeling all “BAH! HUMBUG!” We all have times, even seasons, in our lives when we struggle. The struggles can cover a wide array of things: marriage, job, faith, kids, finances, love, joy, addiction, behaviors, attitudes, the HOLIDAYS…You get the picture…YOUR struggle IS real. Discouragement weighs us down. It’s not some momentary melancholy melodrama. It distracts us from being all that God intends us to be, drawing our eyes of Him, and unto ourselves. Nothing good usually happens when we’re in that place. There are times in our life when we are disappointed, disheartened, and discouraged. Life’s hard. Things don’t always go our way. That’s why you’ll find loads of Scripture lifting you up, keeping you from climbing on that old pity pot. 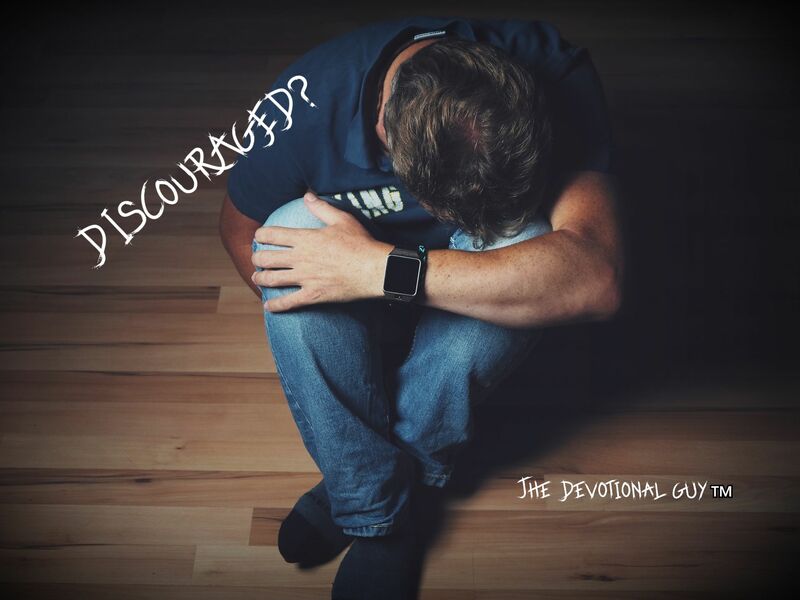 These verses on discouragement reveal one of the many great truths of Scripture: God intends His word to guide us, directing our paths, encouraging us by helping us focus on His goodness and faithfulness. Whenever you feel insignificant, unlovable, or discouraged, don’t be dismayed. Remember whose child you are…YOU are the son/daughter of the Almighty God, King of Kings, Lord of Lords. Take heart, knowing that God loves you immensely more than you or I could ever fathom. Remember, life can be a battle. Equip yourself with the protective armor of God’s Word. He is for you, not against you. The holiday season is NOT a time of happiness for all believers; many beset with all the tribulations of this life. Despite that, joy is in order, and our Lord wants us to have that. Here are some great scripture readings from The Devotional Guy to help us out. Enjoy. Thanks for the ReBlog Wally Fry. Appreciate you brother. Sure thing! I needed those veses. God is good.